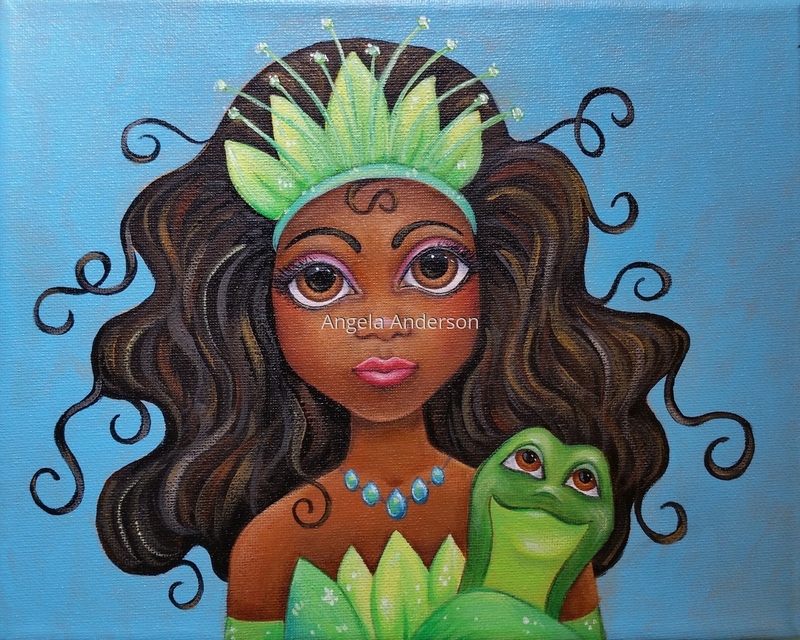 Disney Princess Tiana created with acrylic paints on canvas. Prints are available. 8" x 10"11" x 13.75"14" x 17.5"16" x 20"